It’s officially fall even though the weather doesn’t agree. Today was a blistering humid summer doesn’t want to leave day. But that’s not stopping me from continuing to bring fall into my home! 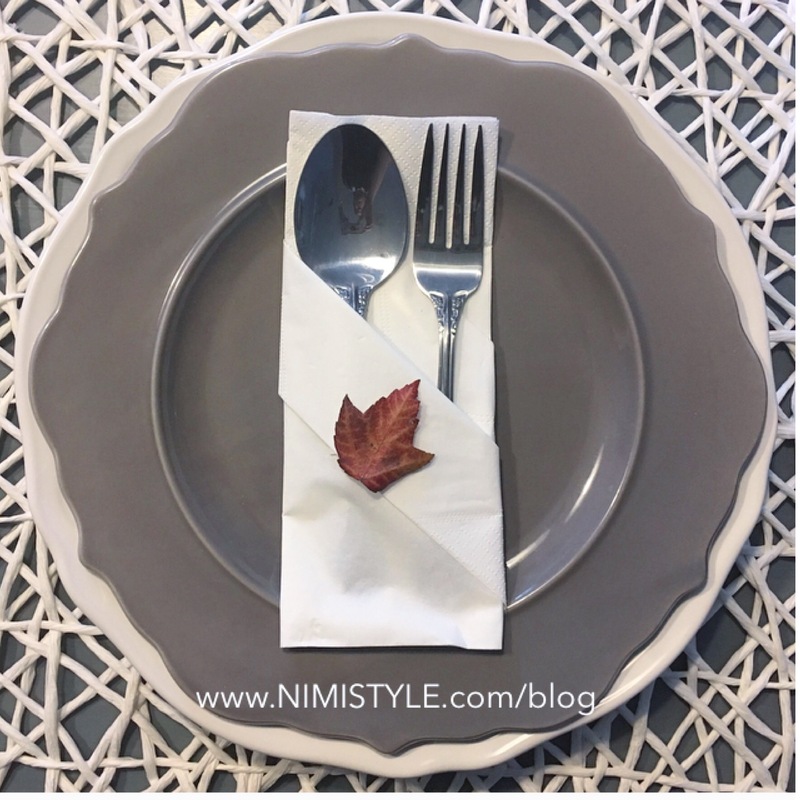 This time I set up a super simple fall table setting using disposable napkins and fresh fall leaves as accents. 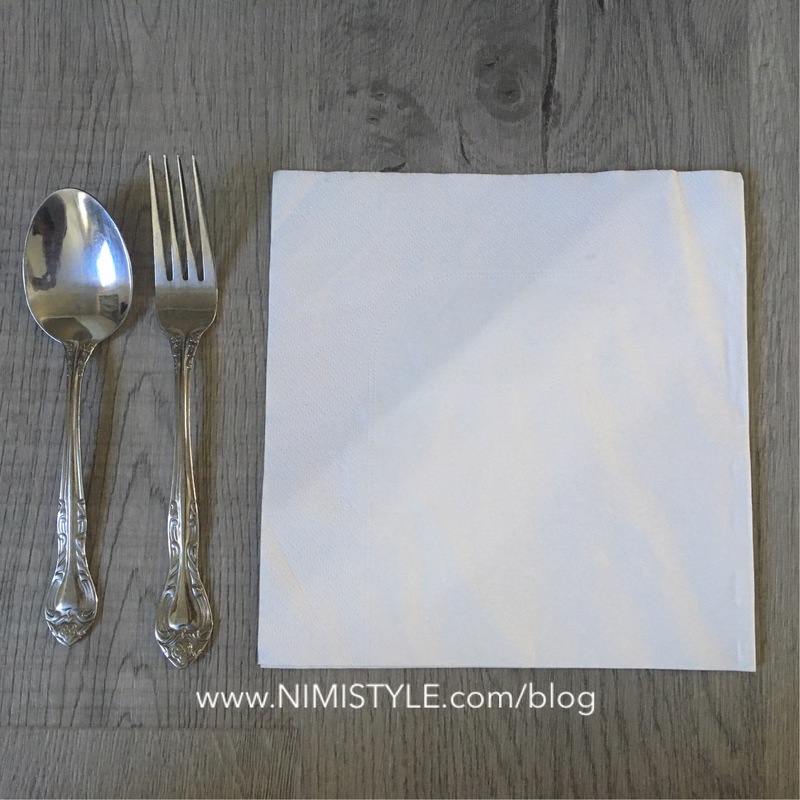 As much as I would love to use proper napkins my family can’t handle them, and since I’m a minimalist I don’t want to own cloth napkins just to make my table look pretty. 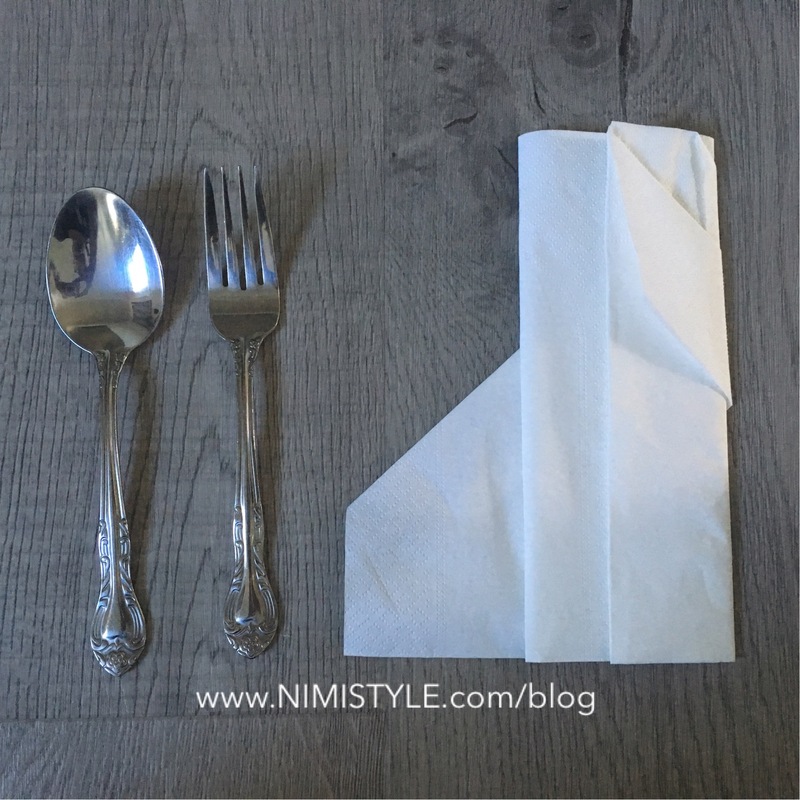 The disposables just have to do for me and they actually look pretty cute when folded up! 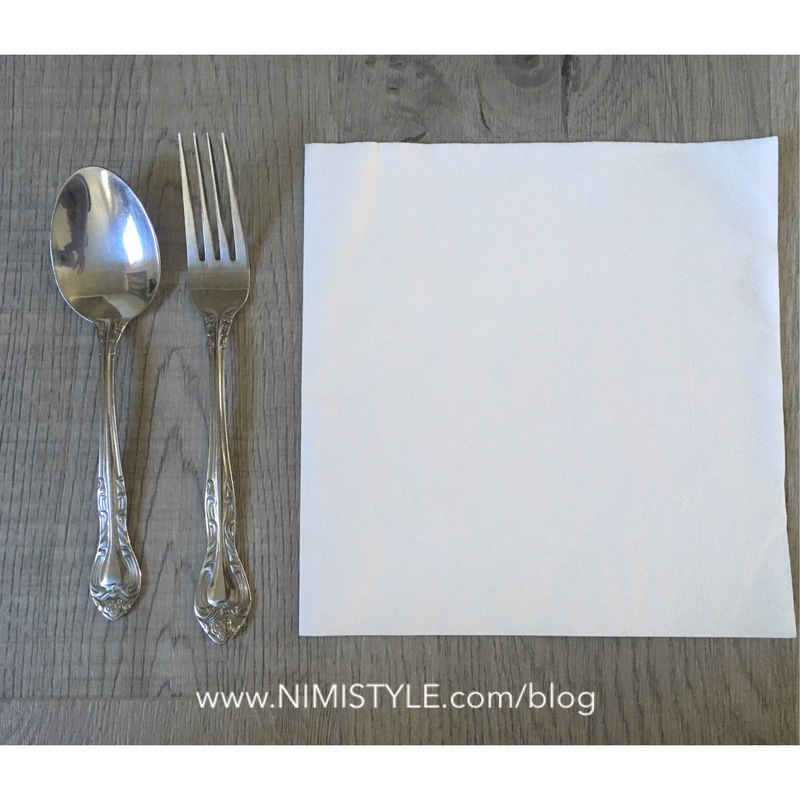 (1) Place a disposable napkin with the opening towards your right side. Mine are from IKEA. 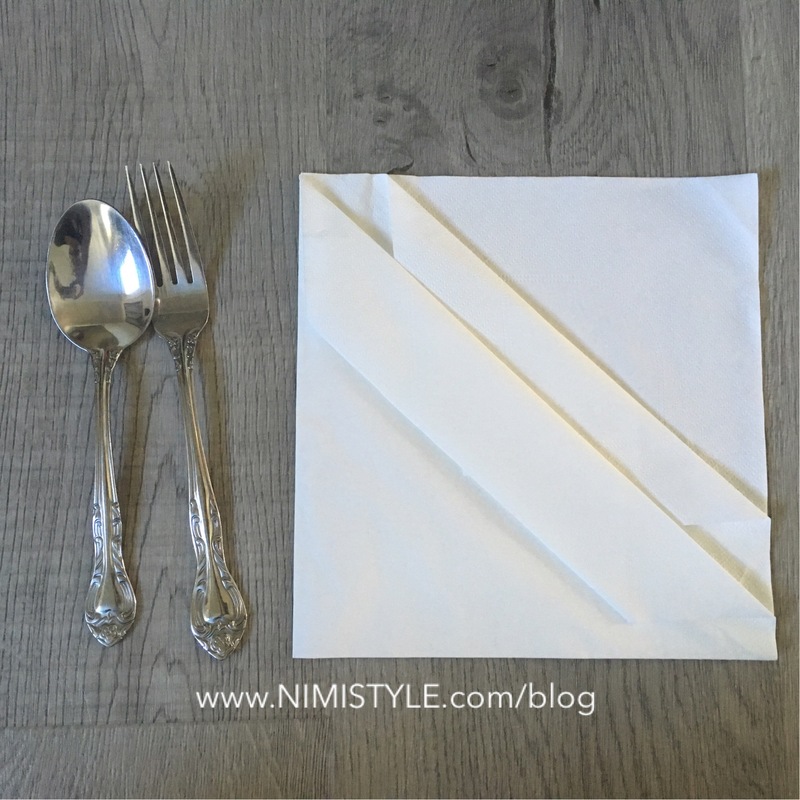 They are nice and thick and of the larger size compared to other disposable napkins. 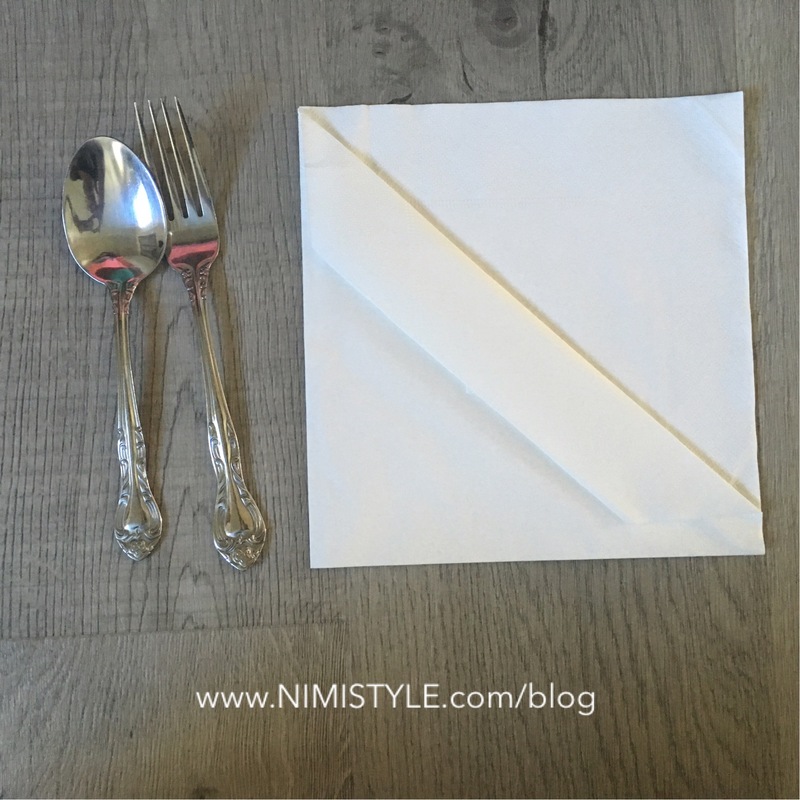 (2) The napkins are folded into 4’s. Take the first layer and fold the top corner down to form a right angle triangle. 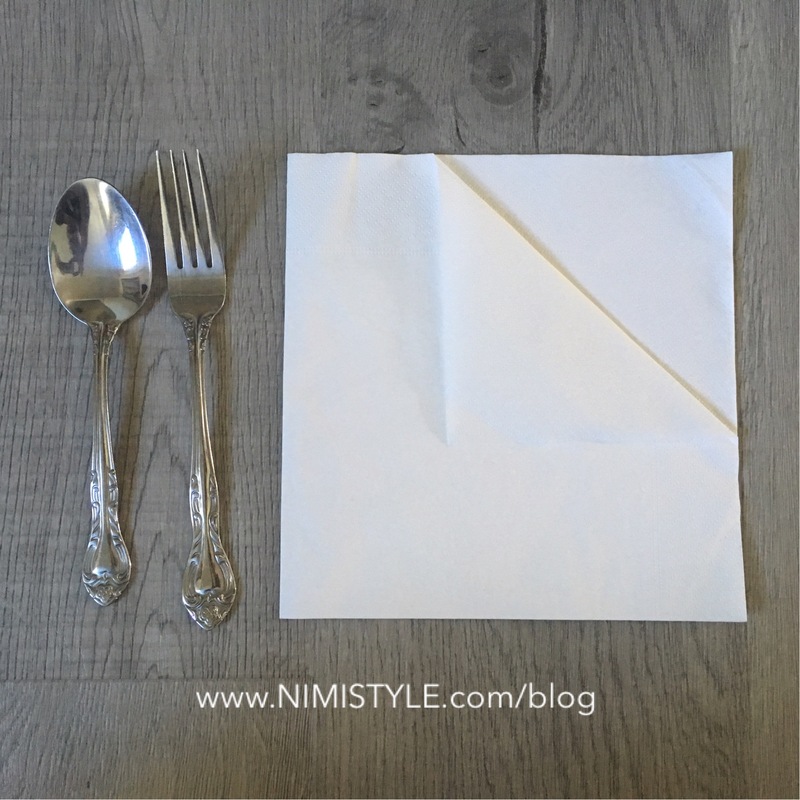 (3) Fold the same layer over one more time to meet the corner. (4) Now fold the second layer forming another right angle triangle. Have the corner meet the edge of the first layers fold. (5) Fold the second layer over one more time and tuck it in slightly behind the first layer. 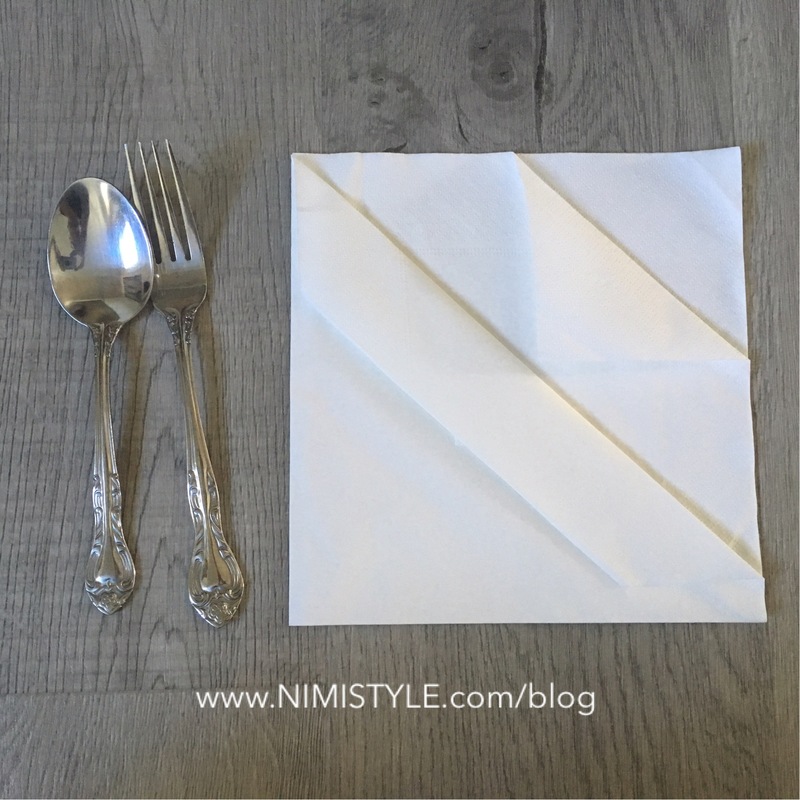 (6) Flip your napkin over horizontally. (7) Fold the first 2 layers on the left side in 1/3 of the way. (8) Fold the entire right side in 1/3 of the way as well. 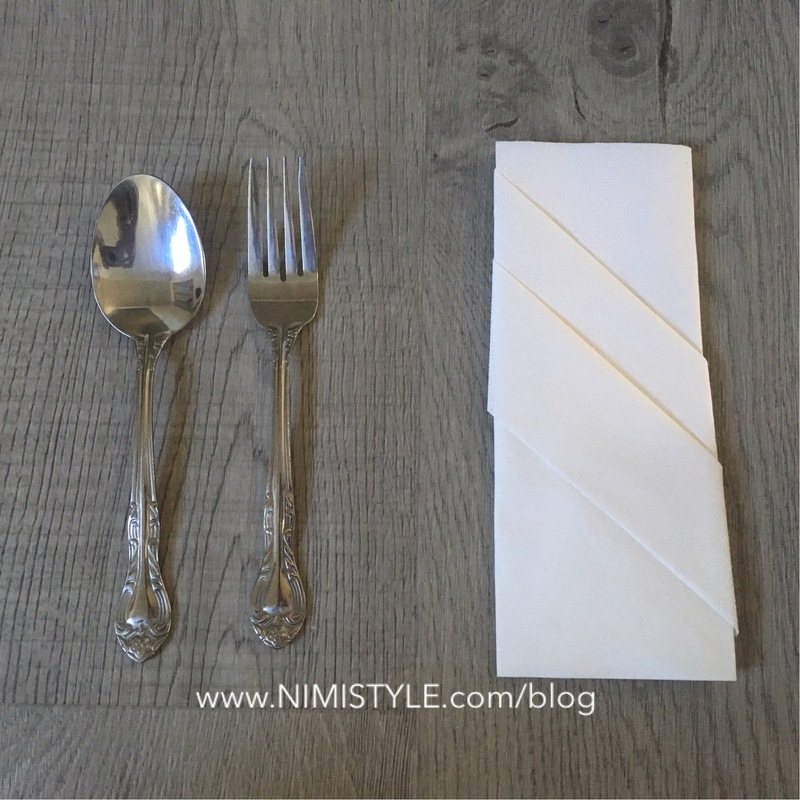 (9) Fold and tuck in the remaining of the left side into the right side. 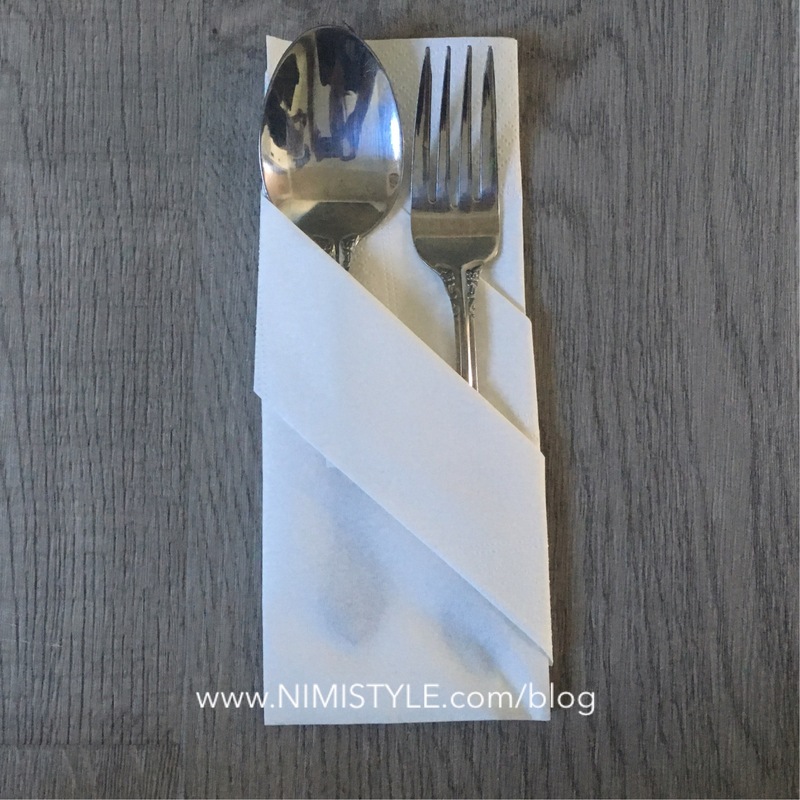 (11) Place your cutlery into the folds and add your seasonal accents! 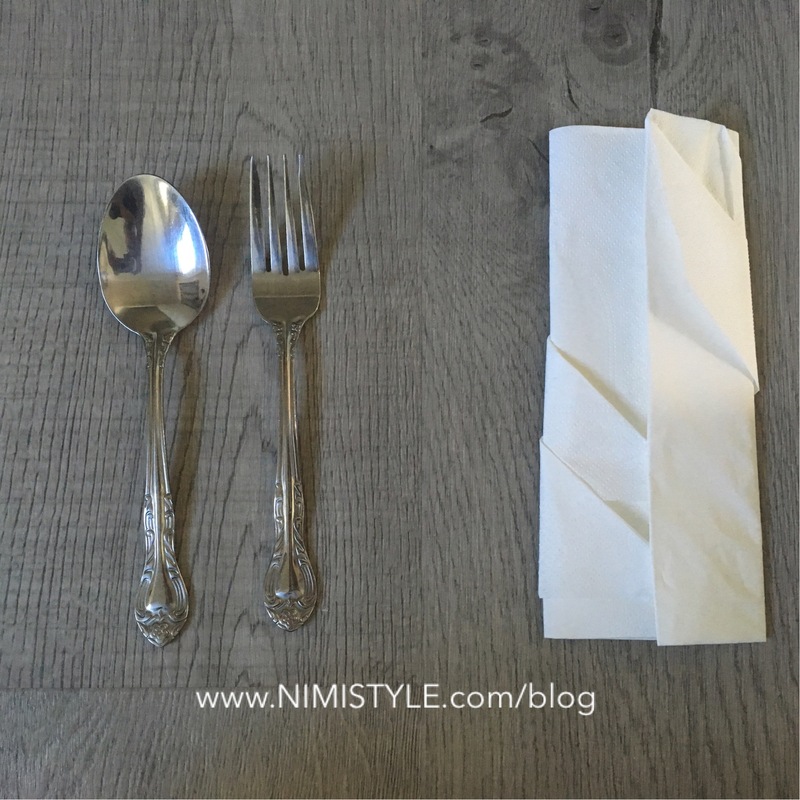 How simple, cheap and easy is it to dress up your table setting! 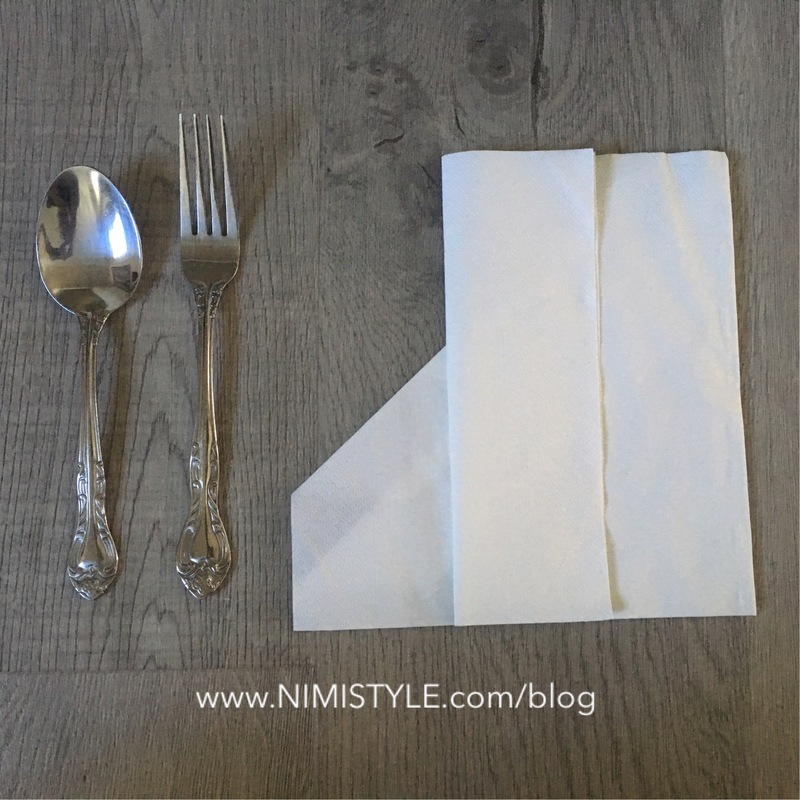 Please share if you end up folding your own buffet napkins!